Scientific research labs represent a huge portion of the energy demand of a university campus; in many cases, as much as two-thirds of a campus’ energy use can be attributed to research labs. 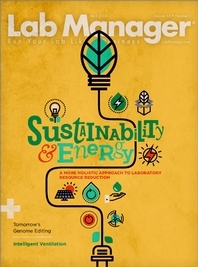 While it might seem clear that labs would be a great place to start when looking to go greener and reduce energy demand, the difficulty of doing so without sacrificing safety can often pose a roadblock. Faced with this challenge and looking to support their mission to be the world-class leader in research as well as attract and retain the best talent, a group of engineers at UC Irvine (UCI) came up with the concept of Smart Labs—a design that can reduce energy consumption by up to 50 percent in research labs. Smart Labs is an efficient recipe implemented by UCI to reduce energy use and provide better indoor environmental quality (IEQ) in labs. This recipe can be easily implemented in other universities and research lab settings, and it can dramatically reduce energy consumption by 50 percent or more. All the while, intelligent ventilation platforms keep lab personnel safe by ensuring that air quality adheres to strict safety standards. The Smart Labs approach designed by UC Irvine reduces energy use and provides better IEQ in laboratory settings.The implementation of these essentials is at the heart of how the Smart Labs approach reduces energy use so drastically while maintaining strict adherence to safety regulations. The Smart Labs approach can be implemented both in new buildings and by retrofitting existing buildings. UCI has applied the design to 13 buildings across campus, reducing energy use by an average of 61 percent while providing a better environment for lab occupants. Given that six of the seven Smart Lab Essentials pertain to the ventilation system and its controls, it is no surprise that demand control ventilation (DCV) is at the heart of Smart Labs’ success. Labs require 100 percent outside air, with a full changeover of internal air volume required six to 10 times per hour during normal operation. Thus, a huge amount of energy is expended by lab buildings’ ventilation systems—heating, cooling, humidifying, dehumidifying, filtering, distributing, supplying, and expelling air. It can be difficult to determine the proper air exchange rates in labs, especially given the need to balance costly air exchange with the need for a safe working environment for researchers. The reality is that setting a single air change rate to balance safety and energy consumption will not achieve either objective. Instead, ventilation should be matched to current needs through DCV. Aircuity’s intuitive User Interface makes it simple for lab safety personnel to monitor the lab environment consistently and improve laboratory safety practices.For this reason, the UCI engineers tasked with designing the Smart Labs approach focused on how to most efficiently and effectively control building ventilation. The resulting design utilizes DCV technology from Aircuity, not just to generate energy savings of as much as 50 percent, but also to supply key safety information about the building in the form of air quality data. Aircuity’s solution supports the six essential items that deal with ventilation and its control and contributes over half the energy savings of Smart Labs in addition to being “the brain of the system” by delivering intelligent data about the lab operation. The laboratory-focused DCV solution provides continuous monitoring of critical environments and automatically adjusts ventilation rates for safety and energy efficiency. Continuous monitoring of the lab environment gives safety personnel insight into what is happening on a 24-hour, seven-day-a-week basis. Regardless of when an event occurs, ventilation rates will automatically increase until the air is clean again and run at higher rates. Additionally, safety personnel may review IEQ data so that incidents can be identified, and persistent issues can be evaluated to improve lab practices. UCI went on to win the Department of Energy’s (DOE’s) Better Buildings Challenge with its Smart Labs project, with experts expecting the school to achieve 40 percent energy savings on the main campus by 2020—twice the DOE program’s objective. In September 2016, the DOE’s Federal Energy Management Program (FEMP) and the Better Buildings Challenge teamed up to launch the Smart Labs Accelerator. Through this program, labs in universities and other research settings across the country can become Smart Labs Accelerator Partners and commit to reducing energy use in labs by at least 20 percent over the next 10 years. Following UCI’s seven Smart Lab Essentials recipe is the best way for partners participating in this program to replicate and far exceed this stated goal, as UCI has done.